Tree decorating steps can be intimidating, but they don’t have to be. 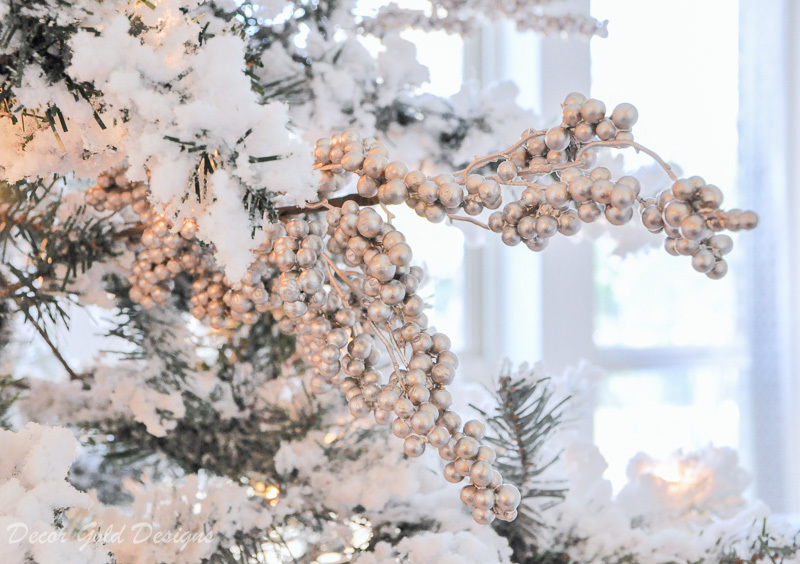 Today, I’m thrilled to be sharing Christmas tree decorating step by step instructions! Creating a beautiful tree is my favorite task of the holiday season. 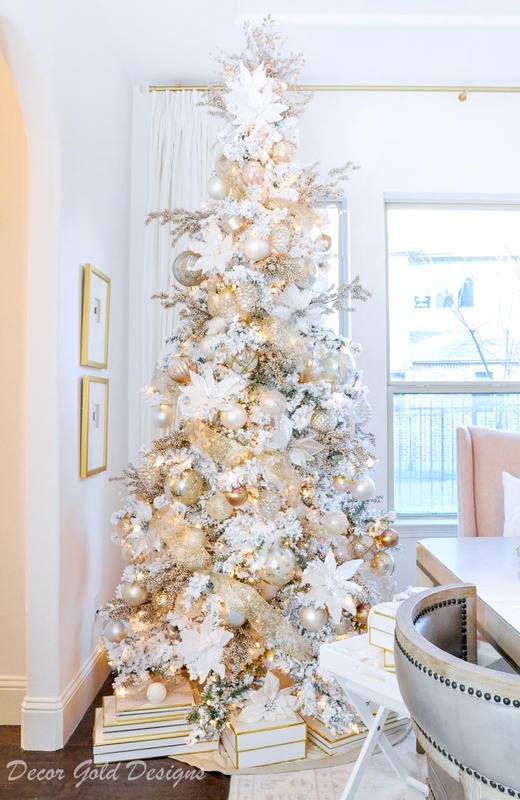 I love to create a tree design in a beautiful color palette that compliments my home. This doesn’t mean all-new ornaments or ribbon each year. In fact, I’ve had most of my ornaments, for a number of years! 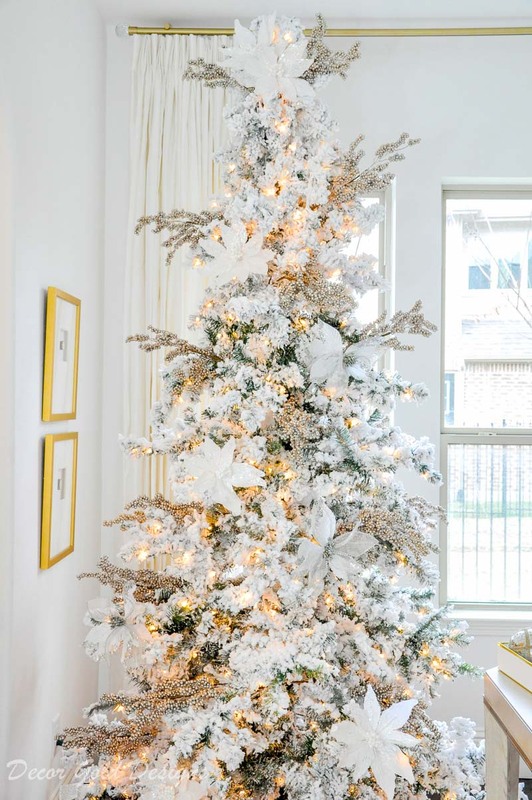 Over the years, and after decorating many trees, I’ve learned a few tricks that I hope will help you create a Christmas tree you love! 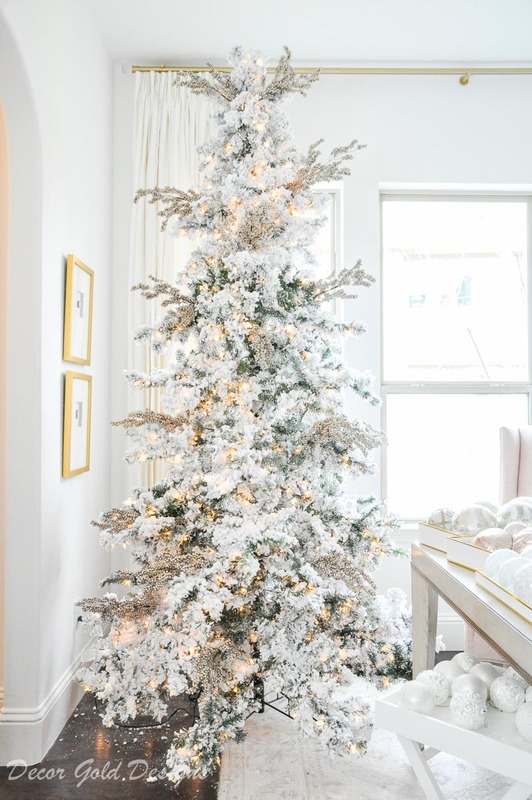 The first step is to fluff your tree. To do this, separate the branches and pull them apart from each other in multiple directions. Remember to reach all the way to the tree trunk to get all of the branches. On a flocked tree, be aware of the position of the “snow”. It should be on the top side of the branches. My tree isn’t the most full tree, in fact, it looks like a bit of a Grinch tree! After fluffing it and with well placed adornments, you won’t be able to tell….I promise! Also, the tree I’m sharing today is slender. It is a great option for rooms that are not quite large enough for a full-profile tree. 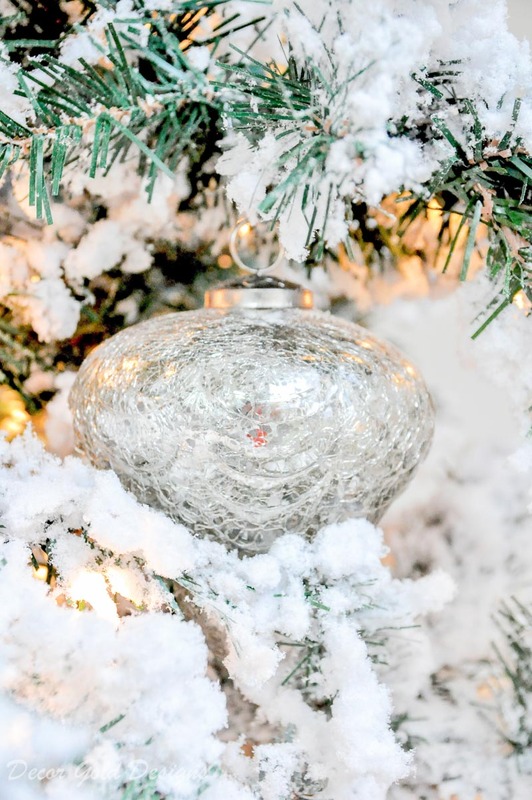 Note: If you don’t have a pre-lit tree, you can add your lights once your tree has been fluffed. The second step in Christmas tree decorating is to add your picks. Add them before your ornaments so you can use them to fill spaces that are more sparse. You should be able to push them into the tree or rest them on a branch. If you need to secure them, try criss-crossing tree branches (the smaller ones deep inside) around the stems of your picks. Stand back to make sure they are spread out and balanced throughout the tree. Next, I always add faux flowers to my Christmas trees. My favorites are poinsettias and magnolias. When you place them on your tree, fill the remaining gaps. A lot of people add ribbon first or last. I think it is nice to add it just before you add your ornaments. It is great for covering any remaining gaps between branches. Also, adding it at this point prevents having to work around or covering your ornaments. I like to use ribbon that is around 4″ or 5″ wide, but that is simply my preference. 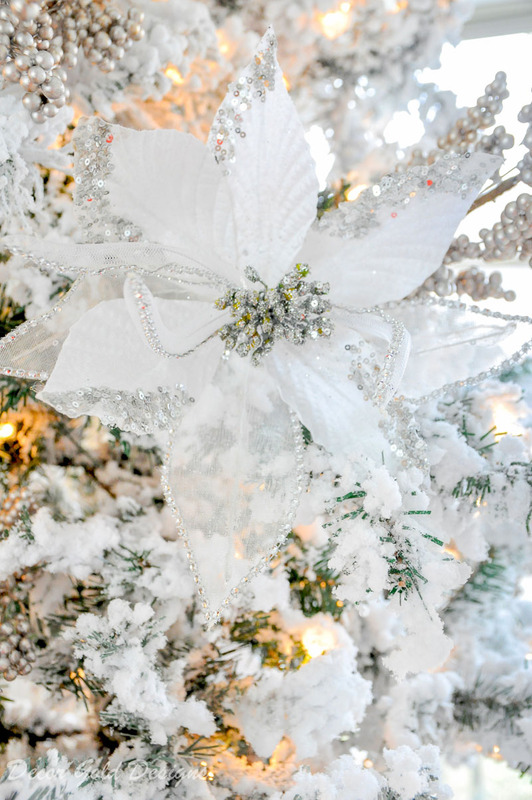 Use straightened ornament hooks or florist wire to fasten the ribbon to your tree. 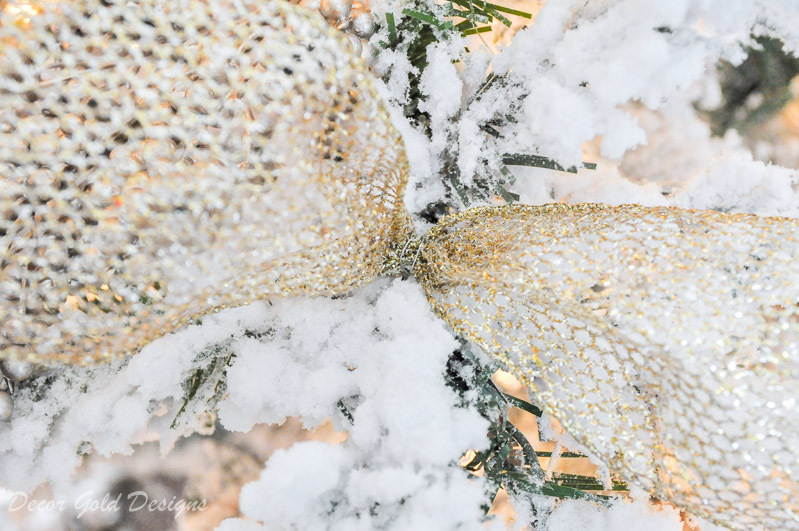 You can also use the wire branches to hold your ribbon. Try to get the ribbon deep into the tree. This will help create a full look. 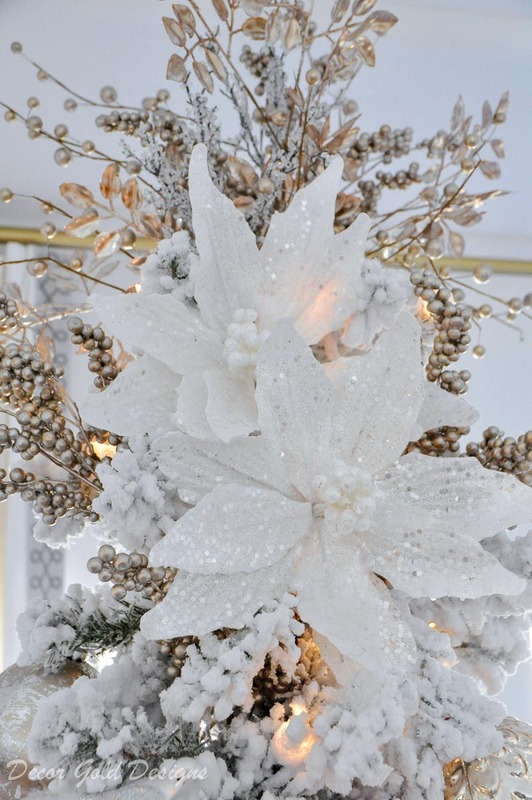 Add your large ornaments (5-7″) first. 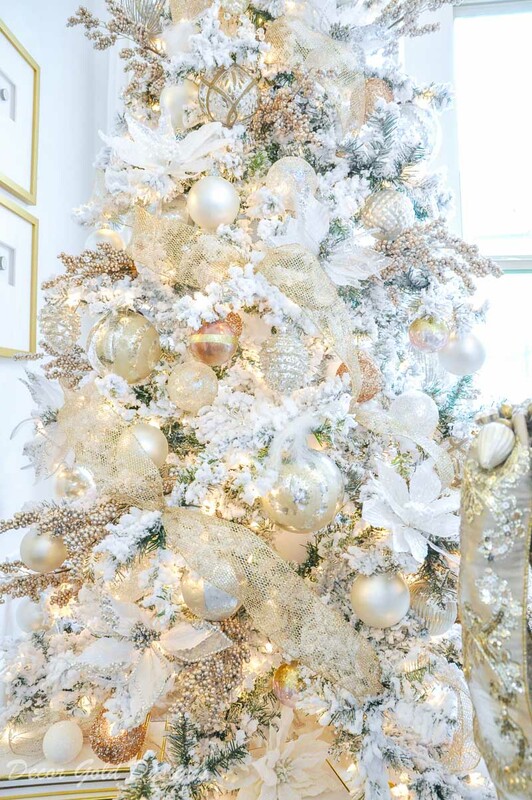 Oversized or large ornaments are stylish and sophisticated. You don’t need a lot of them. I only used six on this tree. Next, add medium ornaments (3-5″), then add specialty ones. I included some pinecones and birds. Be sure to spread all of the sizes all over the tree. Note: If you are only decorating part of your tree, use a few heavy ornaments to balance the weight. Mine sits in the corner of this room, so I only decorated about 2/3 of it. You can use a purchased topper or make one. It’s nice to group picks to create one that coordinates with your tree. Simply stick the stems of the picks along the top of the center pole of the tree. Use at least three pieces, one on each side and one in front of the top vertical tree branch. 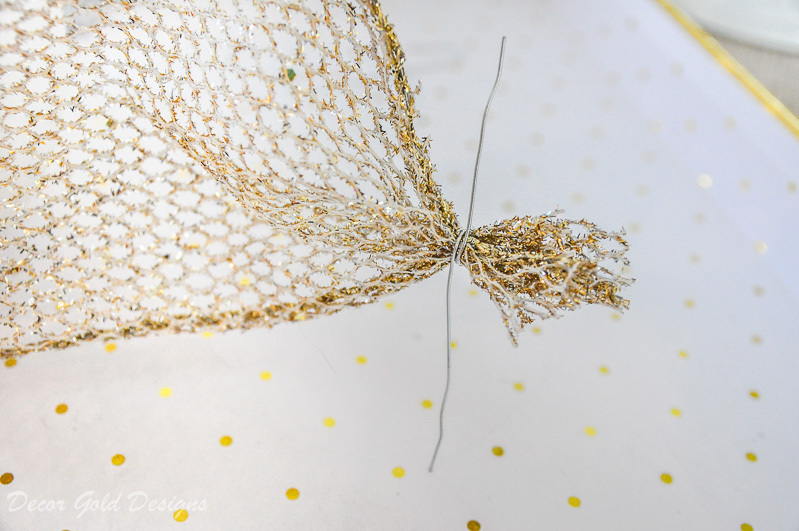 If needed, secure by wrapping the picks and top of your tree with florist wire. 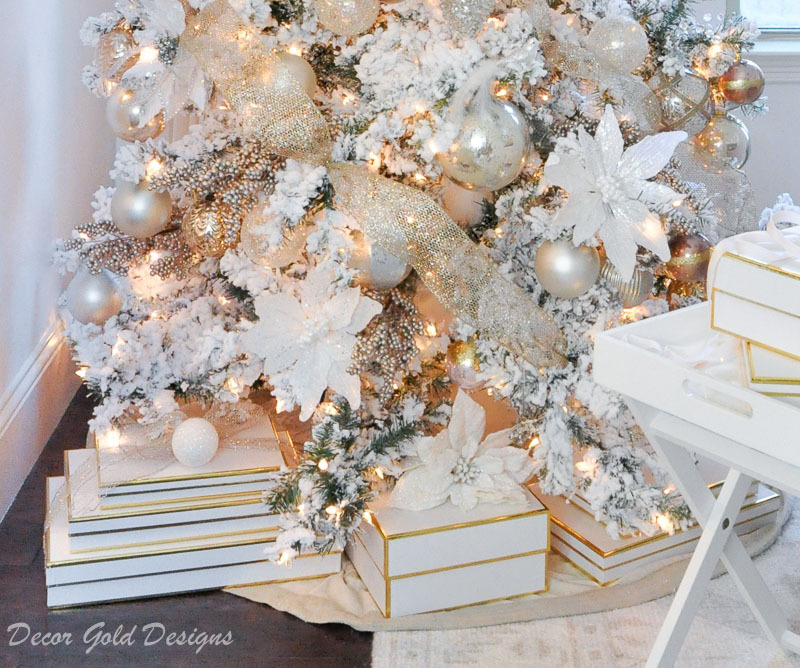 Use a tree skirt or collar, gift boxes, and other decorative items to give the base of your tree a finished look. Use decorative gift boxes like these with ribbons even before you’ve filled them with gifts. This is a good time to adjust anything that looks a bit off. At the end of each step, and especially just before you finish, step back and make sure each side has a similar amount of ornaments and generally looks balanced. 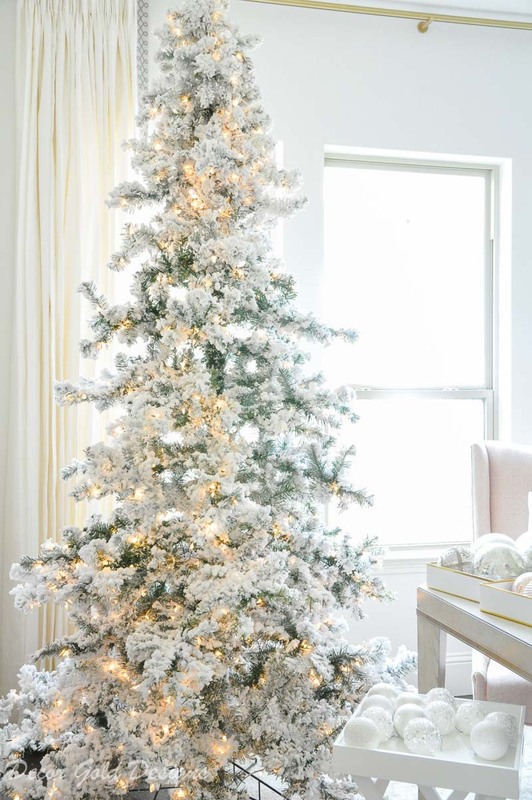 See this full space in my Christmas Dining Room and my other tree with soft blue accents here. I usually add the picks at the end in the places that were left uncovered by ornaments. You totally gave some good tips! I love your tree! Soft and sparkling and beautiful! Thanks so much! Love your blog too!